Norwich vs Birmingham predictions for Friday’s match in the Championship. Read on for all our free predictions and betting tips. Dean Goddard from FST covers our Norwich vs Birmingham predictions and betting tips in the video below. Norwich City sit four points off the top spot in third place in the Championship, while their opponents on Friday night, Birmingham City, are two places and four points off the top six and could really do with the three points. The form of both sides has dipped over recent weeks with the hosts winless in their last five league and cup games, and Birmingham failing to win any of their last four in all competitions. Last time out Norwich City managed to earn a point from their trip to the Hawthorns, where they fell behind to a twelfth minute Dwight Gayle strike that came from a lovely near post cross from on-loan Everton defender Mason Holgate. Gayle’s fourteenth league goal of the campaign proved enough to separate the two clubs at the half time interval, with Norwich struggling to create any meaningful attacks of their own. 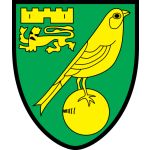 With nine minutes of the match remaining the visitors introduced Jordan Rhodes and within two minutes the Scottish international levelled for Norwich with his sixth Championship goal of the campaign to rescue a point for the Canaries. 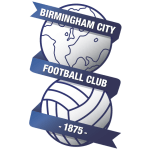 Birmingham City found themselves 1-0 down at half time in their home game against fellow promotion hopefuls Middlesbrough, following Lewis Wing’s thirty-seventh minute strike. The hosts deservedly got themselves back into the match via a seventy-ninth minute Che Adams goal which looked to have earned Birmingham a share of the spoils. However, Middlesbrough substitute Brit Assombalonga muscled his way through the Birmingham defence to strike home the winning goal for the visitors with eight minutes left on the clock. The hosts certainly deserved more for their efforts after having 59% of the possession and more shots than their guests during the ninety minutes, but in a game that failed to offer many clear cut opportunities for either side Middlesbrough were more clinical in front of goal. When these two clubs locked horns in August for their reverse league fixture the first half ended goalless, despite the best efforts of both teams. The second forty-five proved much more value for money with Maghoma breaking the deadlock for Birmingham in the fifty-sixth minute. However, the majority of the action took place inside the final ten minutes of the ninety and stoppage time where first Hernández equalised for the visitors, but that goal appeared to be in vein thanks to substitute Solomon-Otabor eight-ninth minute strike that put Birmingham back in front. Norwich rescued a point in dramatic style when German midfielder Hernández scored his second goal of the half in the fourth minute of stoppage time. There isn’t much between these two clubs in the form guide and neither side can claim to be playing well at this moment in time, but with two wins, two draws, and two defeats from their last six matches Birmingham City are the form favourites. Norwich have managed just the one win, three draws, and two defeats from their last six matches and need to end their winless run if they are to continue to challenge for automatic promotion. Finland international Pukki top scores for the hosts with fifteen goals in this seasons Championship, while Che Adams has netted thirteen in the league for the visitors. We’re confident that both teams will score in Friday’s match, and have backed Norwich City to claim a narrow 2-1 win. Both teams have scored in four of Norwich’s last five and two of Birmingham’s last three matches. Norwich have won three of the last four meetings between these two clubs, and in August the pair drew 2-2 at St. Andrew’s in their reverse league fixture. Norwich have the home advantage and despite not looking at their best of late we expect the Canaries to just do enough to win on Friday. Norwich are unbeaten in six home league matches against Birmingham (W4 D2 L0) since losing 0-1 in March 2002 – which was the last time these sides met on a Friday. Including play-offs, Birmingham have won just one of their last 14 league matches against Norwich (D7 L6). Norwich have lost six of their last seven Championship games played on Friday (W1), losing all three under current manager Daniel Farke. Birmingham are winless in their last three Championship games (D2 L1); they have not gone on a longer such run since starting the 2018-19 league campaign with no wins from their opening eight fixtures. Norwich have scored 16 league goals in the final 10 minutes of games this season – four more than any other side in the top four tiers of English football. Birmingham striker Lukas Jutkiewicz has scored 10 goals and made nine assists in the Championship this season – the last player to achieve double figures for both goals and assists for the club in a league season was Chris Burke in 2011-12.